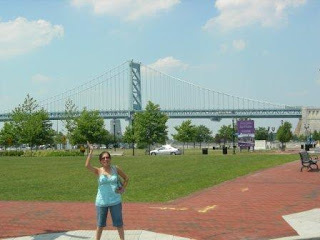 This was actually an unexpected trip when we were in Philadelphia. 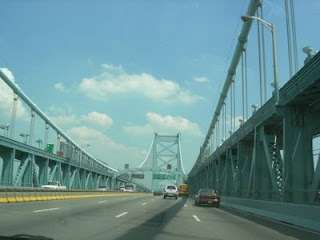 Since hubby was free the entire afternoon, we jut realized we were close to New Jersey (Camden) which was 20 minutes away from Philadelphia. 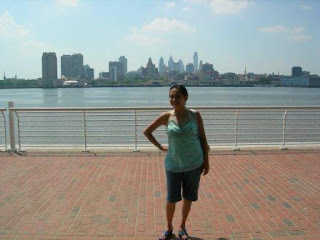 The Camden Waterfront, overlooking the Philadelphia on the other side. 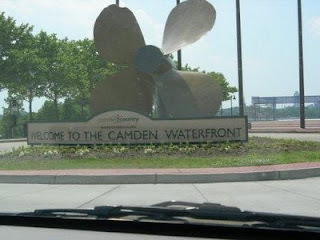 We went to Camden Waterfront where the Adventure Aquarium was. There were some shows worth watching we saw at IMAX theater there so we went. 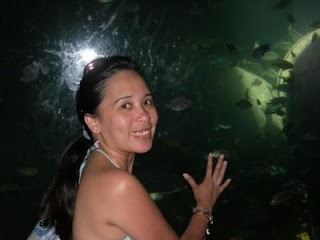 We didn't have much time to go around the aquarium. We were amused with the sleeping hippos, so that was the only poses we got ;). There you go, in a matter of a short trip to the next neighborhood state, it was worth it ;).